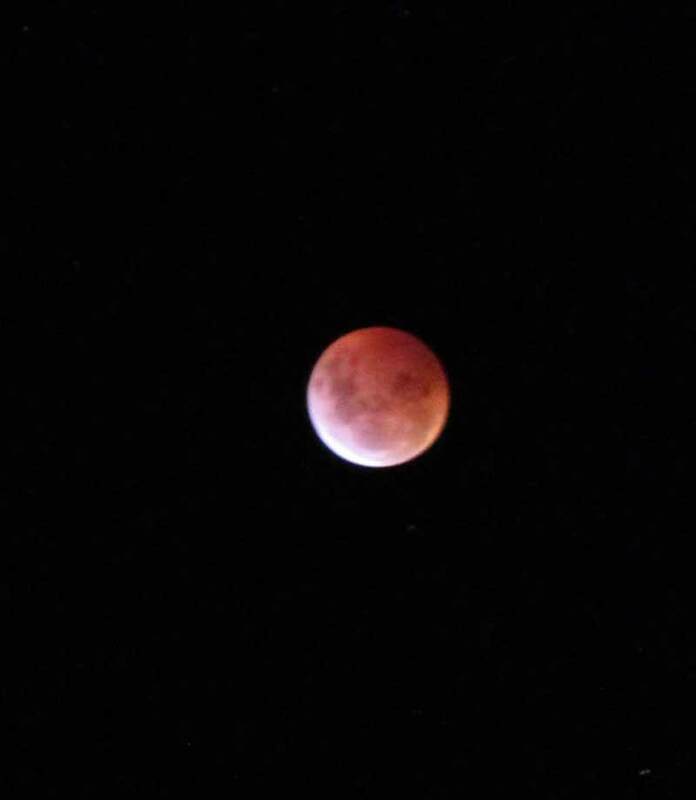 This total lunar eclipse is fully visible in Belize City. 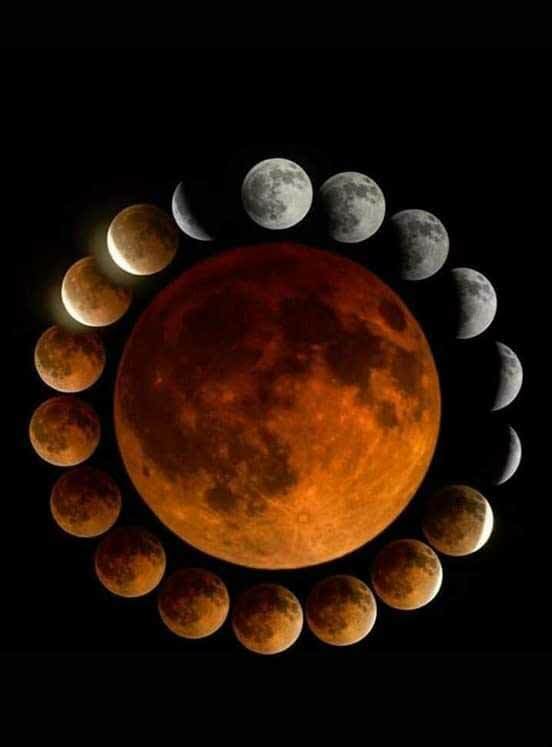 The total lunar eclipse is sometimes called a blood moon, as the Moon turns red. CLICK HERE for more information and the simulation. Last night was in the Maya Calender chi'ibal Uh . Day of the total eclipse . Belizeans got to witness a pretty neat astronomical phenomenon last night. It's called a super wolf blood moon. 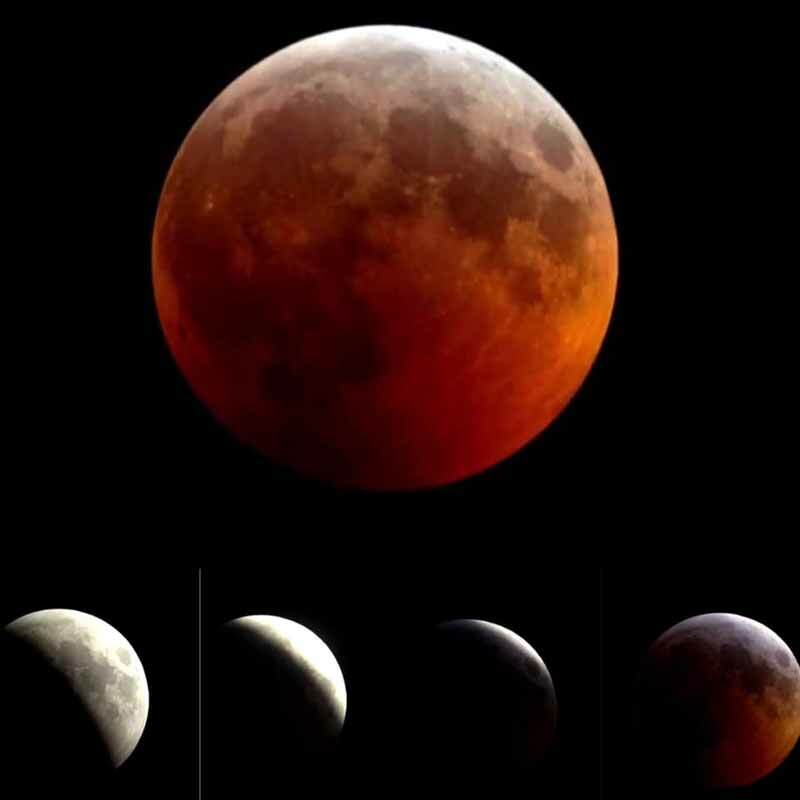 The super means it was closer to earth and appeared slightly larger, the wolf means it was a January full moon, and the blood means it was a full lunar eclipse which left the moon a dark, ruby red for almost an hour. What caused this weird red glow? 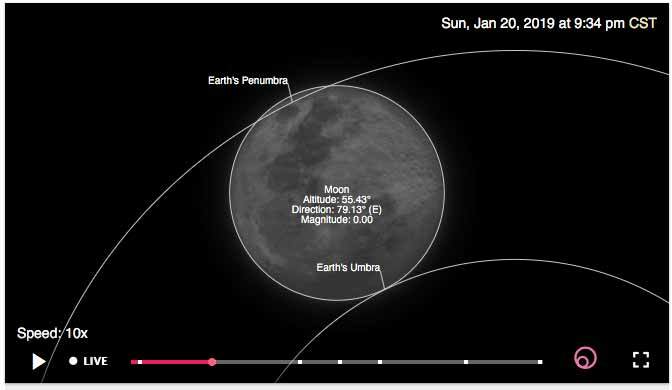 Well, during such an eclipse, the Earth, moon and sun align and the Earth blocks the sunlight from reaching the surface of the moon, leaving the lunar surface in shadow. When the central part of the Earth's shadow, covers the moon, the only red scatters of light from the sun reach the moon, casting that orange glow. For those who had clear skies it was visible all across the America's.